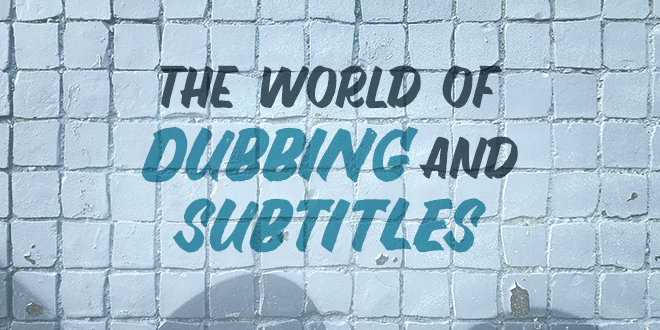 For some time, the discussion between the supporters of subtitles and the defenders of dubbing has become more and more frequent. These arguments have more to do with artistic reasoning than the educational implications of watching films in their original language. Dubbing, according to some, sacrifices many aspects of the film such as naturalness, some of the nuances of the language, the differences between dialects, the jargon, and the various forms of expression of different social groups. On the other hand, some could argue that behind the dubbing of a film is always a team of experts that knows how to reproduce the nuances of meaning and accents in the language they are dubbing to so that they can make the film equally pleasant and enjoyable without sacrificing the director’s vision. What about subtitles? Many prefer them since they leave the film intact and offer a synthetic translation of what is said. In the case of subtitles, commitment and professionalism are also required because it is necessary to translate into a few words not only the literal meaning of what is said but also the overall sense of what the characters want to convey. Northern European countries expect a maximum of 12-13 characters per second in their subtitles. This allows enough time for the audience to read the subtitles without losing fluidity in the film. But, the dubbing paladins would respond that reading subtitles, even if they are brief and well done, distract the audience, prevent the plot from being followed fluidly, and occupy parts of the screen. Furthermore, the translation of the text into subtitles is inevitably a loss because, even if it is accurate and careful, it is still a translation. In short, let’s say that both sides of the argument can be correct. The argument can be reduced to the personal preference of each person, who will be the one to choose between watching films with subtitles or dubbed. And the purely didactic aspect? 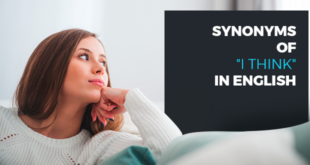 In this case, it is undeniable that watching a film in its original language promotes language learning, both from the point of view of comprehension and vocabulary enrichment. Some believe that the superior knowledge of English in northern European countries is due to the similarity of those languages to English. Of course, the fact that most of these countries speak languages of a Germanic origin could have a certain influence on their English language skills. But, what about Finland? Finnish, their national language, belongs to the Finnish linguistic group and is one of the languages that is furthest from the rest of the languages spoken in Europe. But, the Finns are classified at the top for English competency. While this is definitely thanks to their excellent school programs, it cannot be denied that watching films in their original language could play a good part. And what about Spain, Italy, and France who are ranked at the bottom in English competency? These are three countries where dubbing exists and where romance languages are spoken. Could it be a coincidence? Reaffirming that we do not want to enter into a debate about the implications of an artistic nature, we cannot deny that watching films is one of the most effective language learning strategies. That being said, let’s take a look at an example with the translations of the titles of film to see if the dubbed titles can help us with the English. The title of a film should attract the public. A literal translation may turn out to be not so attractive. Some expressions in foreign languages do not make sense if they are translated literally. Therefore, they require adaptation to the culture and to the Spanish language. This is about creating something with a similar sound that will attract the public’s attention. Let’s look at five titles of dubbed films that are totally different from the original titles. The titles in Spanish literally says, “Forget me!” Needless to say, the title in Spanish is quite sharp, but will certainly not help us to learn English at all. This title of this romantic film in Spanish is literally “an impulsive and crazy love.” The movie, in fact, tells the story of two strangers who after one night find themselves involved in a marriage. As you can see, the original title would be very simple to translate literally, but the Spanish title is “smiles and tears.” Maybe the title that they chose in Spanish is in reference to the bittersweet story of the novice Maria who, just before the beginning of World War II, is sent as a governess to the house of a widowed captain where she will become a good friend of the children and fall in love with the captain. Tiffany’s is one of the most famous stores on New York’s Fifth Avenue. Perhaps the Spanish title, which literally translates to “breakfast with diamonds,” thought it would be more appropriate to refer to the diamonds sold in the store to clarify the context for those who did not have much knowledge of Tiffany’s. The three-word title in English could have been translated easily. Maybe in choosing the title “A plan to fall in love,” they preferred to refer to the plot of this romantic comedy that has to do with a marriage counsellor. From this brief overview of some titles of movies, it seems clear that the work of dubbing follows the rules and logic of artistic order and marketing. The titles are almost never the result of a literal translation and the direct comparison does not help you learn new words in English. Why Learn English Through Films? But now, let’s get to the heart of the matter: why learn English through films? Here are some good reasons to watch films in their original version. 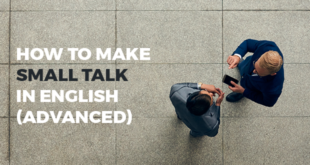 You will be able to familiarize yourself with the accents of the actors that range from American slang, Australian, Irish, to the accent of various immigrant groups in the United States. New words are learned almost naturally. Thanks to the reconstruction of the events, it is possible to grasp the general meaning of the dialogues and jokes, even when you don’t understand all of the words. The association between images and words favors the memorization of new words since it activates multiple sensory channels. 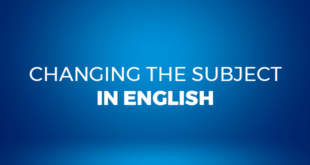 Also, reading the words in the subtitles while seeing the images is an additional way to learn and memorize the terms, especially if the subtitles are in English. For this reason, ABA English bases its own methodology on short films that are the starting point for each learning unit. Drawing from the words and grammatical structures that are present in the short film, the teaching unit presents grammatical themes, exercises, and interactive activities so that you can learn what you encountered while watching the short film. This favours learning English naturally through auditory and visual stimulation that will fix the concepts in your memory. If you are thinking about learning English, why not try our method? You will find that learning this language is much simpler than you thought.